There are 26 posts in this thread, and it has been viewed 22060 times. Note: This was a previous game of the week discussion thread! 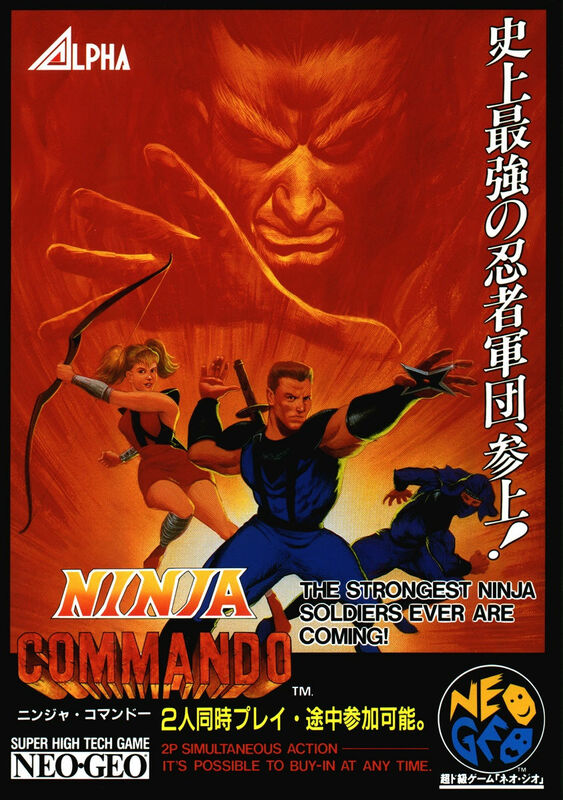 Ninja Commando is a top down vertically scrolling shoot 'em up by ADK, from 1992. You get to choose from 3 different characters each with their own abilities, although it does appear that for some odd reason, they all forgot how to shoot sideways! Joking aside, you must travel through different time zones to complete your mission, including Egypt and feudal Japan, as your characters get zapped into a time machine at the end of the first stage. 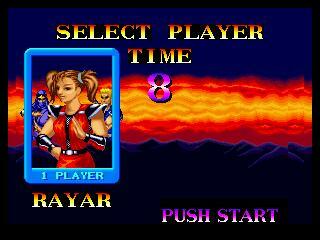 Stage 1 - ignore the intro before the gameplay starts! this was a pretty good game back then and still holds up to be fun today if only the sprites were smaller though, also, you can't forget those cheesy cutscenes! Ninja Commando was a very fun neo geo game and I really enjoyed playing it. 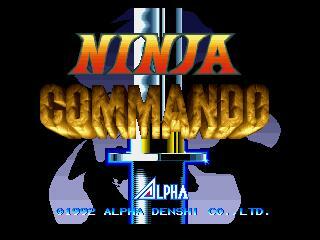 Ninja Commando while not one of my personal favourites is certainly a very enjoyable game. The gameplay is simple but fun. It's nice that there is quite a bit of variety between levels. My favourite level has got to be the one with cavemen, dinosaurs and man eating plants. One thing that really impresses me in this game is the way the story unfolds between levels with some nice looking screens. 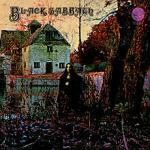 Right, I'm off to play it... Let's see how much of that love is nostalgia, and how much is deserved praise. Oh, and welcome to NGFL Boog! Hey newcomer! welcome to the boards! 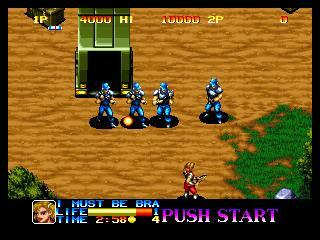 I've seen plenty of video for it, but have yet to play it, although it does look fun, but now that I have an mvs I'll definately be picking it up at some point, but not before I get my hands on Shock Troopers. Some great lessons to be learnt there! I've been here before with a different username but I lost everything because of a virus on my laptop computer last week and I just made a new member account. I see. Well i'm sorry to hear that so Let me say Welcome back! Welcome back - I think I remember you actually. Shawn Carr on the old forums? If you want I can transfer your old post count here, let me know! Thanks! Kaz I would appreciate that. Back on topic anyways... about to have another blast at it, I accidentally let the counter tick down yesterday when I was near the end and didn't complete it, so going to do it now. Can't even remember the ending properly. But remember, it is not equal to the coming of peace. Peace in the future should be built by your hands. Well, I finished it yesterday... I defended the history from enemy! Overall I think this is a fun game, in retrospect I probably would have had a lot more fun if I had played it 16 years ago, but even then I can think of better games of a similar type. It's worth a blast, but not worth the kind of money that the carts go for... I had no idea it costed that much! And that is probably the best review of the game anywhere. I have yet to play this game. To be honest it looks kinda crappy and boring, but some games that I like now (like ShockTroopers) seemed the same before I actually played them. 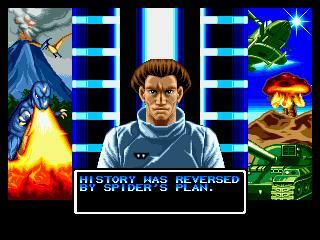 Well Shock Troopers, it goes without saying, is head and shoulders above this game. It's very old and very dated, but kinda fun in a campy way. Don't expect too much and you might have fun with it, and as I've said a few times aboce, enjoy the Engrish translation!